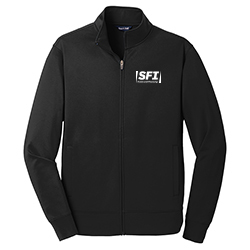 Full Zip Moisture-Wicking Fleece Jacket. 100% polyester. Cadet collar. Slash pockets. Self-fabric cuffs and hem.